The House Judiciary Committee on Wednesday voted 24-17, along party lines, to authorize a subpoena compelling Attorney General William Barr to turn over special counsel Robert Mueller's "full and unredacted" report. The big picture: Barr wrote in a letter to the committee that he would turn over a version of the report by mid-April, once he and Mueller finished redacting it for "grand jury information, classified information, information related to ongoing prosecutions, and information that may unduly infringe on the personal privacy and reputational interests of peripheral third parties." But Democrats have demanded that Barr provide the full 400-page report, along with underlying evidence, for the sake of transparency. House Judiciary Chairman Jerrold Nadler said that he would give Barr "time to change his mind," but that the subpoena would be served if he does not voluntarily comply. "This committee requires the full report and the underlying materials because it is our job, not the attorney general's to determine whether or not President Trump has abused his office. We require the report because one day, one way or another, the country will move on from President Trump. We must make it harder for future presidents to behave in this way." The other side: Ranking member Doug Collins (R-Ga.) slammed the Democrats' efforts to subpoena the report as "political theatre." "The attorney general's entire mandate is to enforce the law and he's expressly forbidden from providing grand jury material outside of the department, with very limited and narrow exceptions. Congress is not one of those exceptions, and the chairman knows it." Worth noting: On March 14, the House voted 420-0 in favor of a resolution calling for the Justice Department to release the full Mueller report. What's next: If Barr ignores or rejects the subpoena, it could result in an extended court fight: "We will, as appropriate, go to court. We think we need a subpoena first," Nadler said. 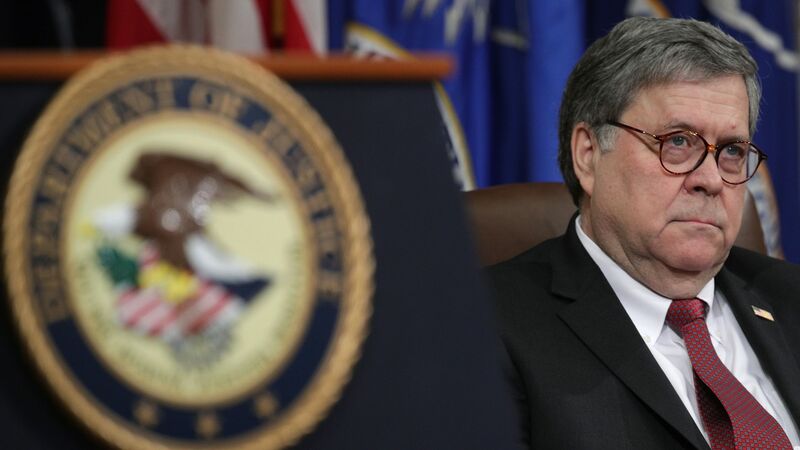 Barr has said he will be available to testify publicly to the committee about the findings in the report on May 1, but Democrats have demanded that he appear sooner.